Bethlehem Israel: Discover secrets of Bethlehem of Galilee & Bethlehem of Judah with maps, genealogies, Rachel's tomb, birth of Jesus, Hebron, Bethel & Harran. A town named Bethlehem, Israel, captures world attention once a year in December and January, when it is flooded with foreign journalists. They come to Israel to photograph the Christmas religious services for their international media employers. These are not the seasoned investigative journalists sent to cover the region at other times, but are usually young rookies. They are chosen for this assignment because journalists with seniority want to spend the holidays with their families and nothing very unusual happens at the once-a-year gathering anyway. Content to go with the flow of folklore, most of these journalists have no idea that there are two towns named Bethlehem in Israel. It never occurs to them that they might be missing a more important story and the real location of the Bethlehem of the birth of Jesus. This article will tell you that story – a tale of two cities, a tale of two Bethlehems. It all begins in the Biblical book of Genesis. To understand the full story, begin with the historical background in the Table of Contents on the left. To just jump to the conclusions, use the page links on the right. 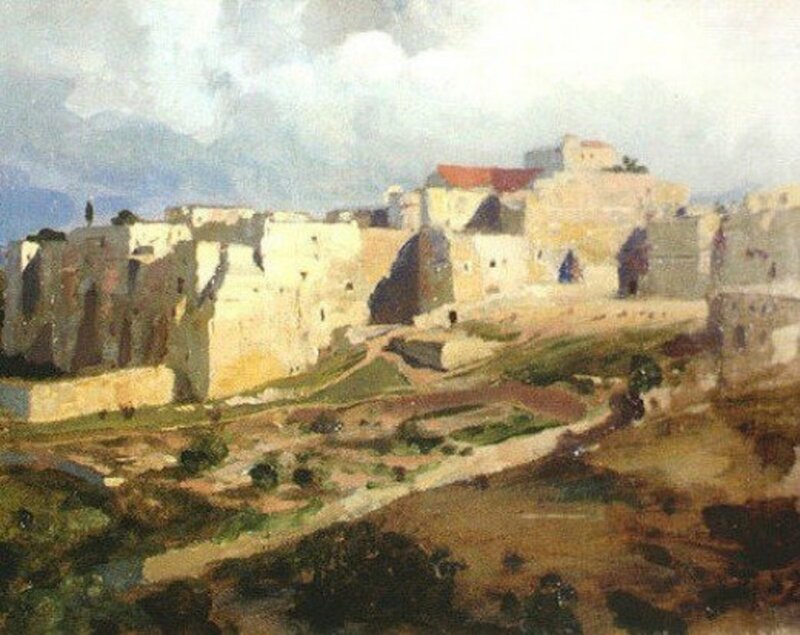 The first historical record of Bethlehem, Israel, mentions the town in a significant event in the family history of the descendants of a man named Terah: the death and burial of Terah's great-grandson's beloved wife, Rachel. The city of Harran is mentioned in the Ebla Tablets which are housed at the Aleppo Museum in Syria. The ruins of ancient Harran are near Altınbaşak in present-day Turkey. 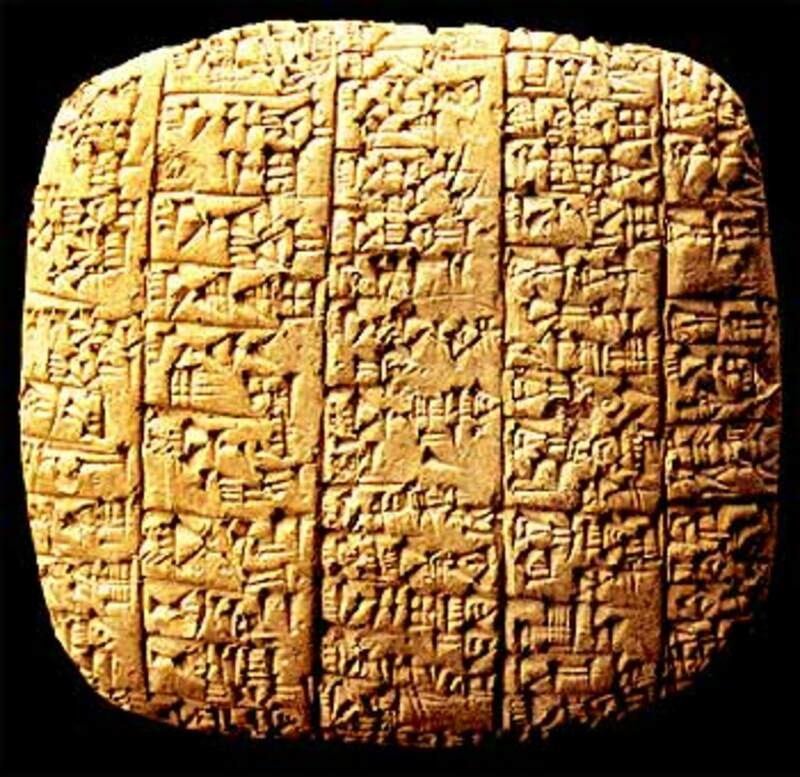 The book of Genesis is the personal family history of the household of Terah, who lived more than 4,000 years ago in the city of Ur, located in present-day Iraq. 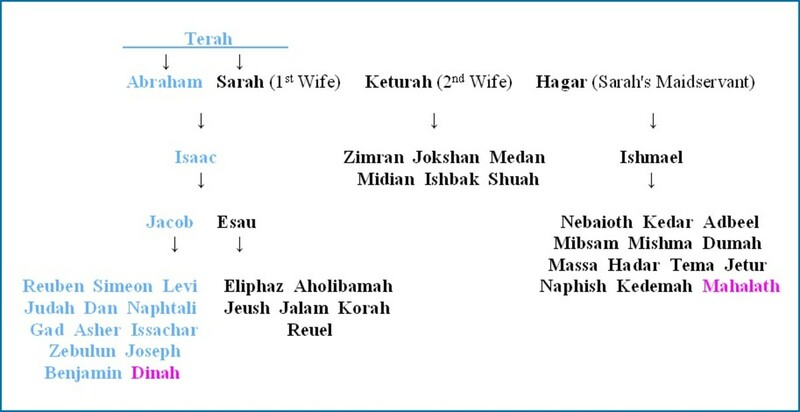 In Genesis 11, Terah's ancestry is given and he is listed in the tenth generation descended from Noah through Noah's son Shem. 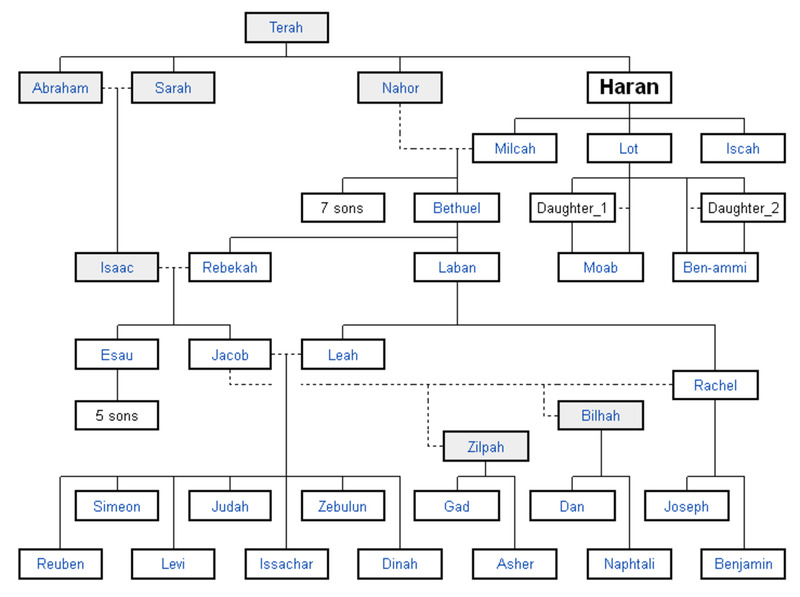 Terah's son Harran (or Haran) died in Ur and was buried there. Terah journeyed from Ur with his two sons Abraham (originally named Abram) and Nahor, their wives, a company of people and herds of livestock. They traveled northward and settled on the east bank of the Euphrates River in what is today the country of Turkey. 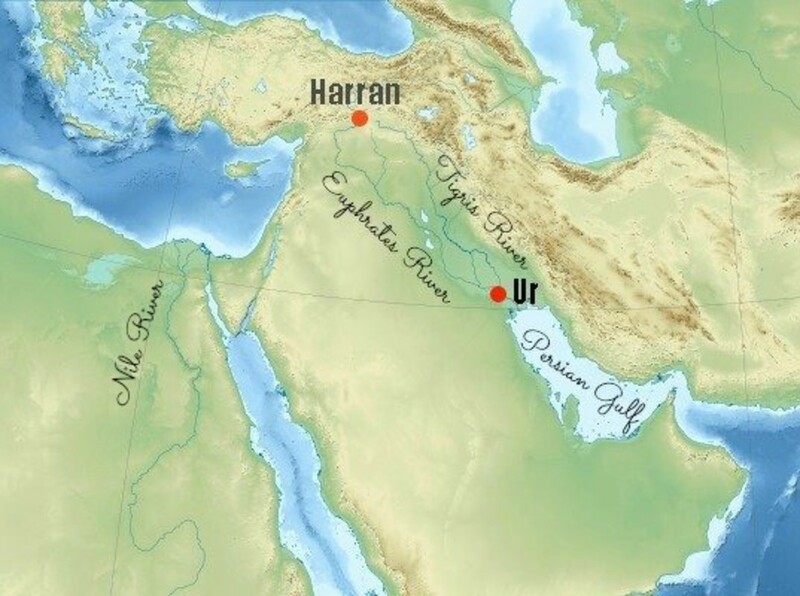 Terah named the settlement after his deceased son Harran, that his name be preserved. The region is called the "Harran Plains" to this day. Terah, the city's founding father, died in Harran at the age of 205. After Terah's death, his son Abraham was told by God to leave his kindred and move to a new land where he would be blessed. And so it was that Abraham left his brother Nahor in Harran and crossed the Euphrates River. He journeyed southward with his wife Sarah (who was also his half-sister), a company of more than 1,000 people, and herds of sheep, goats and cattle. It was about 1900 BCE and Abraham was 75 years old. Abraham camped at Shechem. Like the city of Harran, Shechem is also mentioned in the Ebla Tablets. Abraham built an altar to God at Shechem. 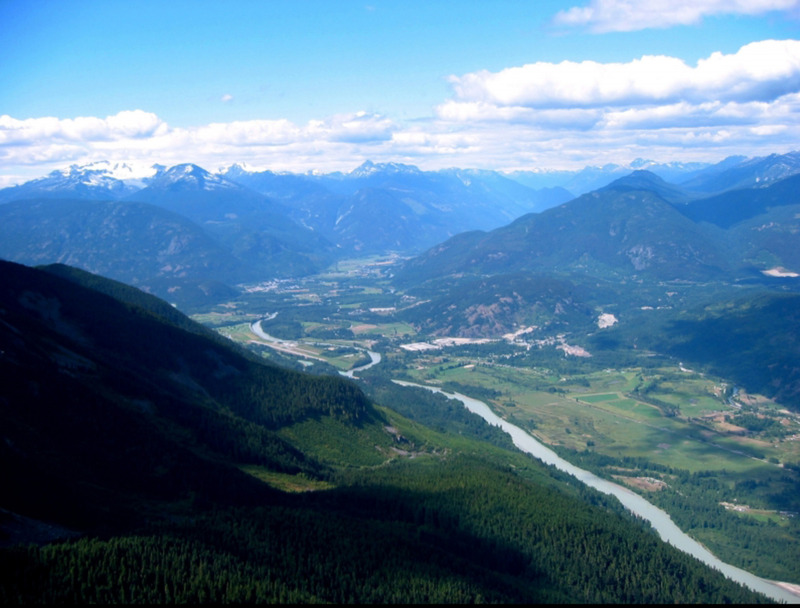 God visited him there and promised that his descendants would inherit this land (Genesis 12:7). This is an invaluable resource and an exceptional gift – highly recommended. 300 maps covering the years 3000 BCE through 200 CE. It is a virtual walk through the lands mentioned in the Bible. From Shechem, Abraham moved to Bethel (Beit El or Beth El, which means House of God) and he built an altar on a high place just west of the settlement. Understanding the importance of Bethel to the heirs of God's promise to Abraham is critical to locating the city of Bethlehem in Israel, as will be revealed in this article. 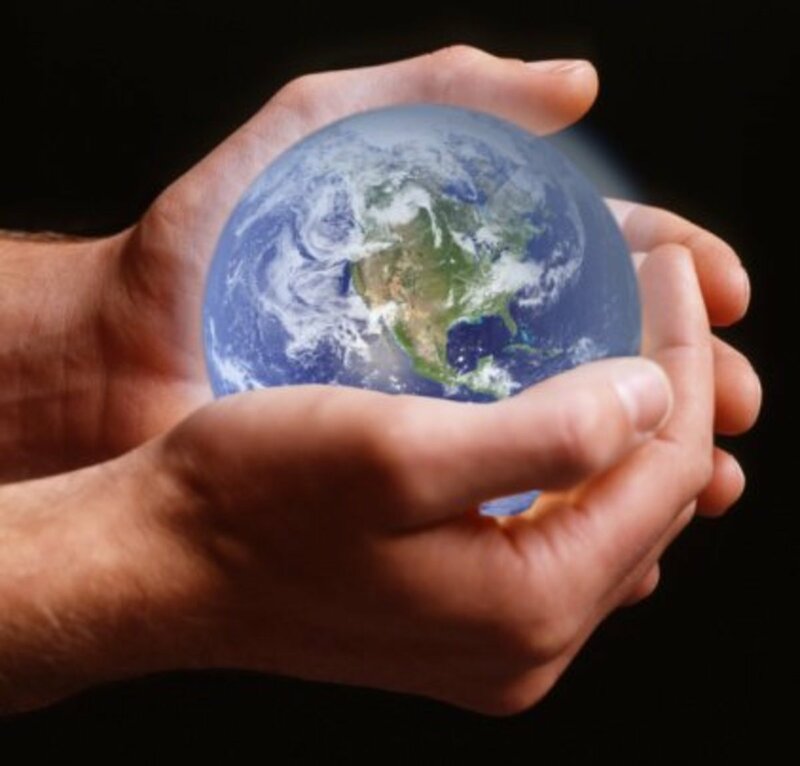 "Now lift up your eyes and look from the place where you are, northward and southward and eastward and westward; for all the land which you see I will give it to you and to your seed [descendants] forever. I will make your seed [descendants] as the dust of the earth so that if a man can number the dust of the earth, then your seed [descendants] can also be numbered. "Arise, walk through the land in the length of it and in the breadth of it; for unto you will I give it." 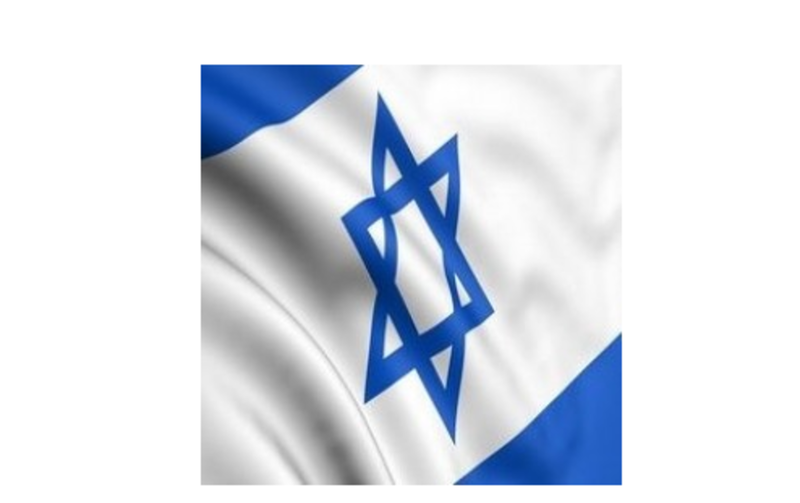 The premier source of information about Israel, the Bible and Jewish history. Here it is available at half the book store price and with free, two-day shipping for college students. Used sets are also available at this link. A wonderful gift idea and one which will last a lifetime! "Then God said to Abraham, “As for Sarai your wife, you shall not call her name Sarai, but Sarah [princess] shall be her name. I will bless her, and indeed I will give you a son by her. Then I will bless her, and she shall be a mother of nations; kings of peoples will come from her." Then Abraham moved his camp southward and lived in Hebron. 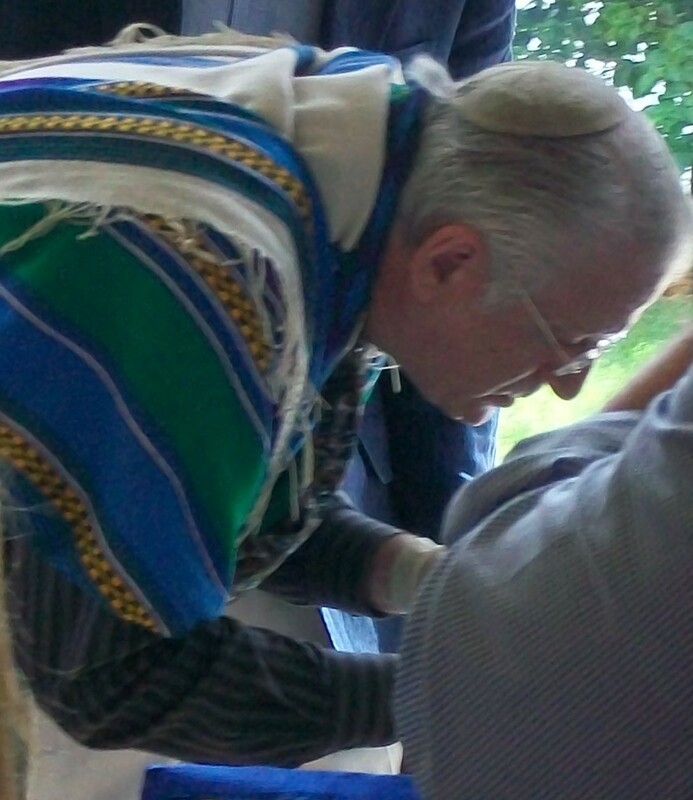 In Hebron, he once again built an altar to God. 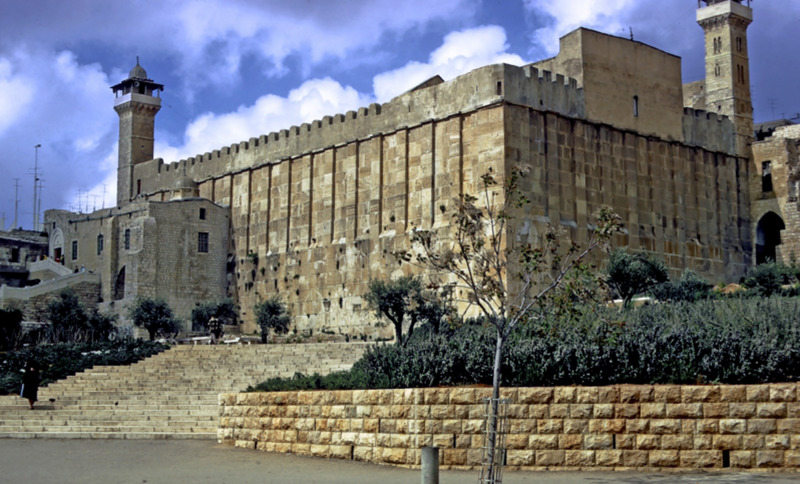 It was in Hebron that Abraham was visited by Melchizedek the King/Priest of Salem (Jerusalem) and was blessed by him. This is when the family's religious connection to Jerusalem began. Abraham originated the family tradition of paying a ten-percent religious tithe to the priest in Jerusalem. "Look now toward heaven, and count the stars, if you are able to count them. And He said to him, So shall your seed [descendants] be . . .
"Unto your seed [descendants] have I given this land, from the river of Egypt unto the great river, the river Euphrates: the Kenite and the Kenizzite and the Kadmonite and the Hittite and the Perizzite and the Rephaim and the Amorite and the Canaanite and the Girgashite and the Jebusite." "Sarah your wife will bear you a son, and you shall call his name Isaac; and I will establish My covenant with him for an everlasting covenant for his descendants after him. As for Ishmael, I have heard you; behold, I will bless him, and will make him fruitful and will multiply him exceedingly. He shall become the father of twelve princes, and I will make him a great nation. When Sarah was well beyond the age to give birth to a child, she made a fateful decision. At Sarah's insistence, Abraham fathered a son for Sarah (Sarai) through a surrogate, an Egyptian maidservant named Hagar. When Hagar conceived, she despised Sarah. A son was born and Abraham named him Ishmael. Years later, Sarah miraculously conceived and gave birth to the son of God's promise in her old age. According to God's command, the baby was named Isaac. Ishmael was thirteen years old when Isaac was born and he began to mistreat the baby Isaac. God commanded Abraham to send Ishmael and his Egyptian mother away from his household. Abraham sent them out with an inheritance of possessions, but not of land. Ishmael married an Egyptian and established his household In the Wilderness of Paran, in present-day Jordan. He lived south of the regions settled by Terah's grandsons Moab and Ammon, and north of the region settled by Isaac's son Esau (Edom). Abraham's wife Sarah died in Hebron at the age of 127. Abraham sought a burial site which would serve as his family's cemetery. He chose a prominent cave in a nearby field owned by a Hittite man. 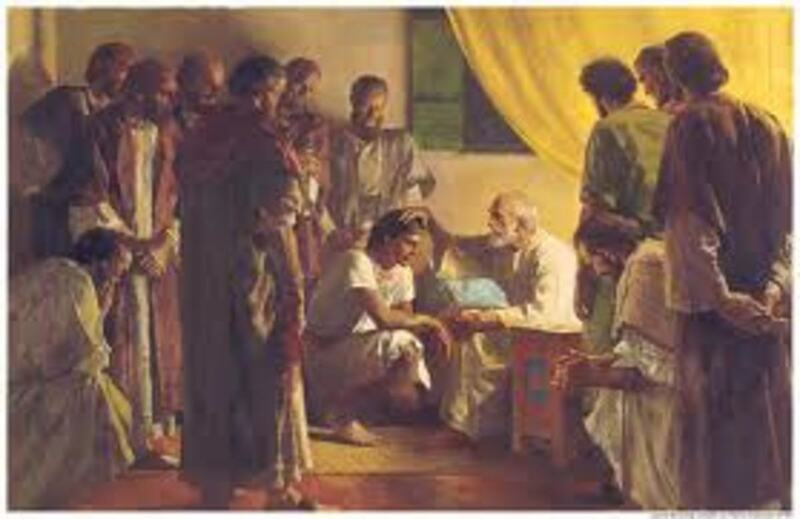 Abraham was offered the site without charge, but he insisted on paying for the grave site to solidify an uncontested transfer by inheritance through his son Isaac (Genesis 25:5). So Abraham bought the cave and the field adjoining it for 400 shekels of silver and the deed is recorded here. The site is called the Cave of Machpelah (Cave of Patriarchs). 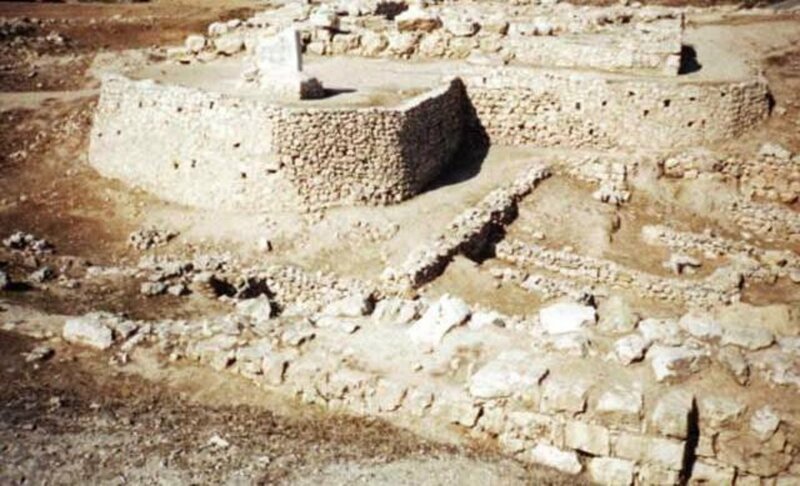 King Herod the Great (937 – 4 BCE), known for his massive building campaigns in the Holy Land, built a massive structure of native limestone over the Cave of Machpelah which stands today. In it, visitors now will find a synagogue, a mosque and a church (supervised by three bickering Christian denominations). After the Six Day War, amateur archaeologist Moshe Dayan (acting within his capacity as Israel Defense Minister 1967 – 1974) took a group into the complex and opened a closed entrance into the cave. He discovered that the cave descends to two underground burial chambers. View his photographs of the crypts of the patriarchs and matriarchs in Machpelah. 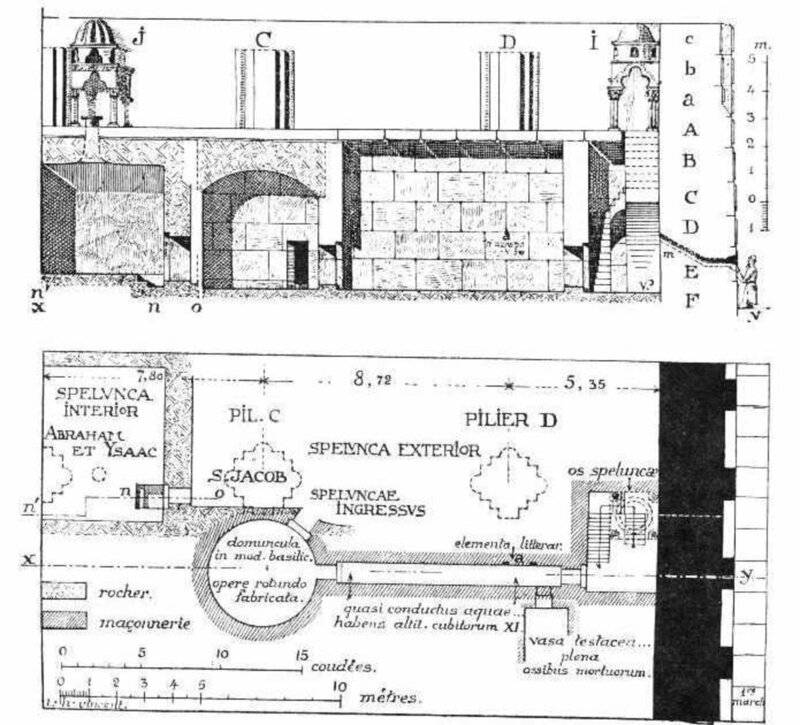 The first level of burial vaults is 40 feet (12.19 m.) below ground-level. Abraham buried Sarah in the Cave of Machpelah and thus the family mausoleum was established. The location of Machpelah in Hebron is a crucial piece of the puzzle in determining which Bethlehem in Israel is the location of Rachel's grave, as you will soon see. During the Crusades (11th – 13th centuries CE), Crusaders entered the Cave of Machpela and described their desecration of the graves. They exhumed the bones from several of the tombs in their search for relics. The record of their visit to Machpela is found in the Latin Codex manuscript, Tractatus De Inventione Sanctorum Patriarcharum Abraham Ysaac Et Jacob. With Sarah's death, Abraham sought a bride for Isaac. He sent a trusted servant back to Harran to find a wife from the descendants of Abraham's brother, Nahor, the son of Terah. The young woman he found was Nahor's granddaughter, Rebekah. Isaac married Rebekah in Hebron and they lived in the tent which had belonged to Sarah. Abraham married again and fathered six sons by his second wife, Keturah. As each of those sons matured and married, Abraham gave them an inheritance of possessions and sent them away to live eastward of the land promised to Isaac (Genesis 25:6). Abraham died at the age of 175 and was buried in the Cave of Machpelah by his sons Isaac and Ishmael. 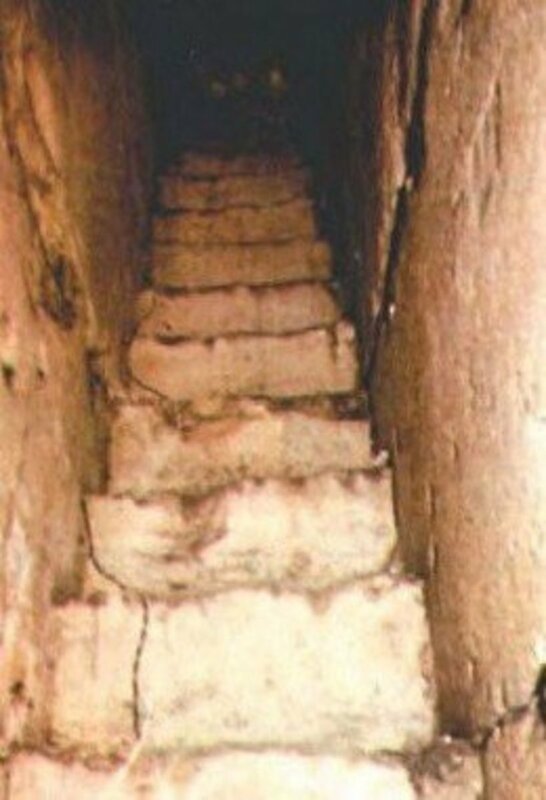 Thus, the Cave of Machpelah was again confirmed as the family's burial vault. "And Isaac and Ishmael his sons buried him in the cave of Machpelah, in the field of Ephron the son of Zohar the Hittite, which is before Mamre, the field which Abraham purchased of the children of Heth; there Abraham was buried, and Sarah his wife." Isaac and Rebekah became the parents of twin sons, Jacob and Esau. Jacob received the inheritance of the promise given to Abraham for the rights to the Promised Land and for Abraham's covenant with God. Isaac instructed Jacob to return to Harran to the household of Nahor, the brother of Abraham, and to find a wife for himself from the lineage of the patriarch Terah. So Jacob left his home in Hebron and began his journey to Harran, more than 400 miles (644 km) away. He followed the path of his ancestors along the ridge of the mountains, which is called the Way of the Patriarchs to this day. He traveled with a small caravan of camels and, after a journey of about 38 miles (61 km), he stopped in Bethel for the night. Bethel is the place where his grandfather, Abraham, stopped to pasture his herds of animals on his journey from Harran to the Promised Land. It is where God visited Abraham and where Abraham built an altar. During his night at Bethel, Jacob had a vision from God in which God promised to be with him on his way northward and to bring him back to this place. Jacob set up an anointed pillar in Bethel as a memorial stone of God's promise to him. A wealth of information for people, places, subjects and Biblical archaeology; an outstanding gift for a Bible student - 60% off - Buy now! As Jacob approached the outskirts of Harran, he met a cousin who would become his wife, the daughter of his mother's brother, Laban. He was immediately smitten by the young woman and he kissed her. This is Rachel, whose grave is in Bethlehem, Israel. A month later, Jacob asked Laban for Rachel's hand in marriage. After a betrothal of seven years which required Jacob to work for Laban as the bridal price for Rachel, Jacob was deceived by his uncle and given Rachel's older sister, Leah, as a wife instead. A week later, Jacob and Rachel were married, too. Jacob, Rachel and Leah lived in Harran for 13 years after the weddings. Then Jacob had a falling out with his uncle Laban, and Jacob left Harran to return to his father's home. He took his two wives, his wives' two maidservants who had also born him children, his eleven sons and a daughter, a company of people and large herds of cattle, sheep, goats, camels and donkeys. It must have been nearing wintertime when the slow-moving caravan left Harran, for Jacob and his family stopped on the east bank of the Jordan River at Succoth – a place where temperatures in the summer can reach 123.98°F (51.1°C). Winter is the only rainy season in the Jordan Valley, and the record in Genesis states that Jacob built a house and temporary shelters for his animals in Succoth. Jacob then moved with his company and his herds to the traditional grazing lands which his family had used since the days of Abraham. He crossed the Jordan River and settled in Shechem. There, just like his grandfather Abraham, he built an altar to God. Jacob also purchased land in Shechem (Genesis 33:8-20). Jacob's land in Shechem became the scene of major historical events in the lives of his descendants. "And God said unto Jacob: 'Arise, and go up to Bethel, and live there; and make there an altar unto God.' "
So Jacob returned to the place where he spent the first night on his journey to Harran to find a wife, the place where God promised he would return. He left there as a single man and returned with two wives, their maidservants, 12 children he fathered (all under the age of 13 years), a great company of employee-servants and herds of animals. While Jacob and Rachel were living in Bethel, Jacob's childhood nanny, Deborah, died. Jacob buried her in the valley just below Bethel, knowing that his family for generations to come would return to the homestead in Bethel. Today, Jacob's descendants live in a modern village of 6,500 people, just a short walk from the ancient settlement. 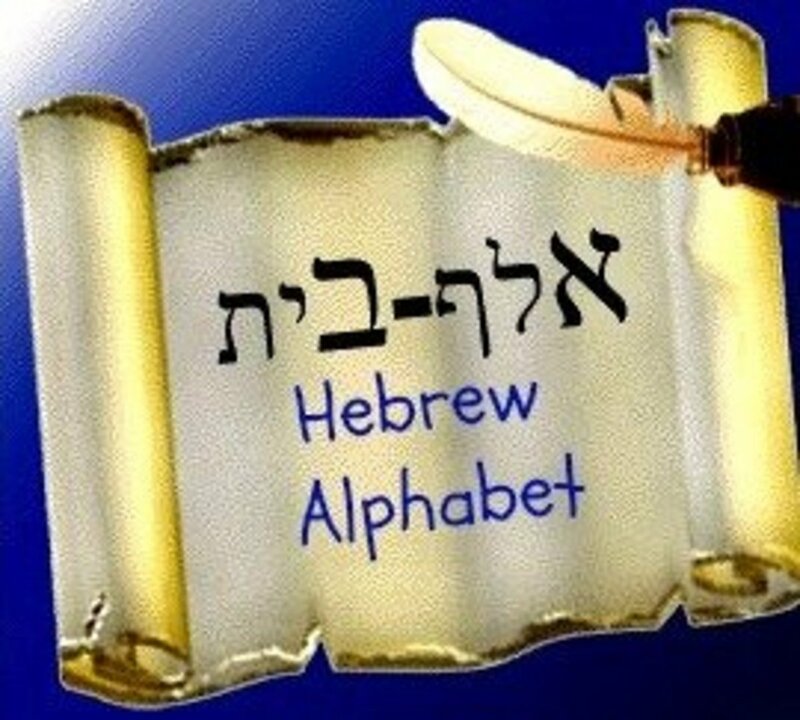 "And God said unto him 'Your name is Jacob; your name shall not be called Jacob any more, but Israel shall be your name.' And He called his name Israel . . .
" 'And the land which I gave unto Abraham and Isaac, to you I will give it and to your seed [descendants] after you will I give the land.' "
God visited Jacob in Bethel and changed his name to Israel, and the Promised Land became known as the Land of Israel. The sons of Israel became leaders of the separate Tribes of Israel. Jacob built a pillar in Bethel, where his grandfather Abraham had built an altar and where he himself had built a pillar on his journey to Harran to find a wife. Jacob and his company left Bethel and, the Bible records, were on their way to Bethlehem when Rachel died. Where is this Bethlehem and where is Rachel's tomb? ". . . and he [Jacob] loved Rachel more than Leah . . . And God saw that Leah was hated, and he opened her womb; but Rachel was barren." Rachel was the favored wife of Jacob, and the only woman he wanted to marry. Throughout most of her marriage, Rachel was barren and longed for children. Before Rachel gave birth to her first child, her son Joseph, her sister Leah had born six sons and a daughter by Jacob. Leah's maidservant, Zilpah, had given Jacob two sons, and Rachel's maidservant, Bilah, had born two sons. Now, on the journey leaving Bethel, she was in the last stages of pregnancy with her second child. "And it came too pass as her soul was departing, for she died, that she named him Ben-oni [son of my sorrow]; but his father called him Benjamin [son of my strength]. "And Rachel died and was buried on the way to Ephrath, that is, Bethlehem." 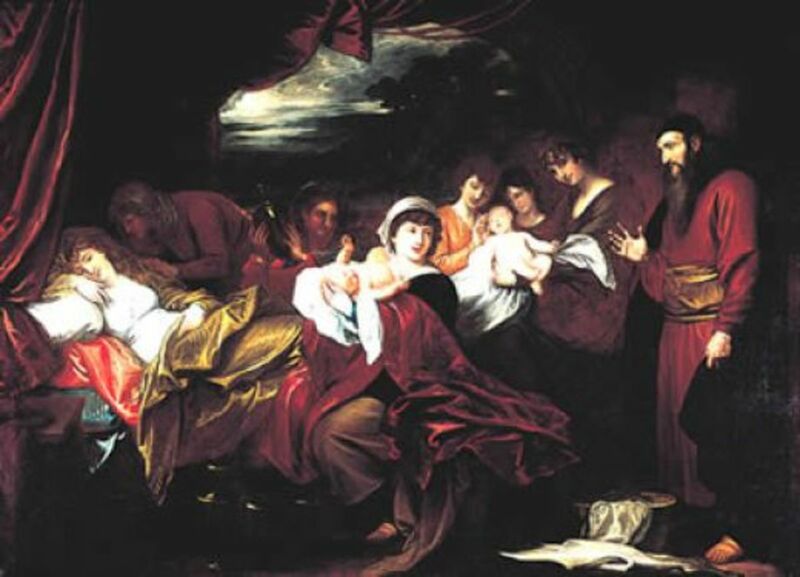 The Biblical record states that Jacob and his company were traveling from Bethel to Bethlehem when Rachel went into labor and died in childbirth. In the fourth century CE, Helena, the divorced wife of Roman Emperor Constantius Chlorus and mother of Constantine the Great, identified Rachel's Tomb as a pile of rocks on the main road at the northern entrance of Bethlehem of Judah, on the outskirts of Jerusalem. Helena was an eighty-year-old woman seeking relics and amulets in the Holy Land and paid handsome sums to those willing to indulge her quest. She was never a Biblical scholar, and it is doubtful that she was literate in any language; but, being the mother of the emperor did have its privilege. The sites she designated became the gospel of her newly acquired religion, Roman Christianity – a religion she heavily subsidized with her son's wealth. Helena's mythical location of Rachel's Tomb is still presented today as an authentic fact. But it is wrong. There was only one town named Bethlehem in Israel at the time of Rachel's death and it wasn't located south of Jerusalem: It was in the northern hill country of the Galilee. The name Bethlehem (Beit Lechem or Beit Lehem) means house of bread. 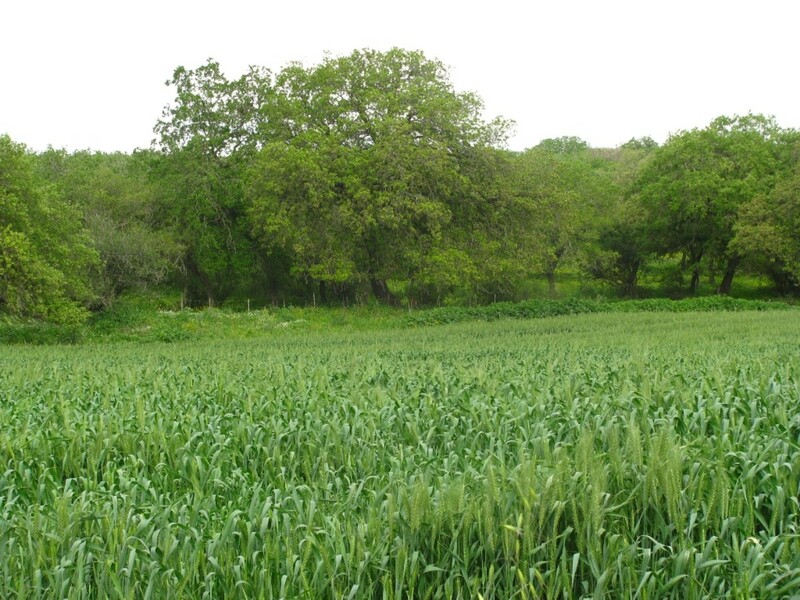 In the days of Jacob, native wheat varieties grew in the fields of Bethlehem. 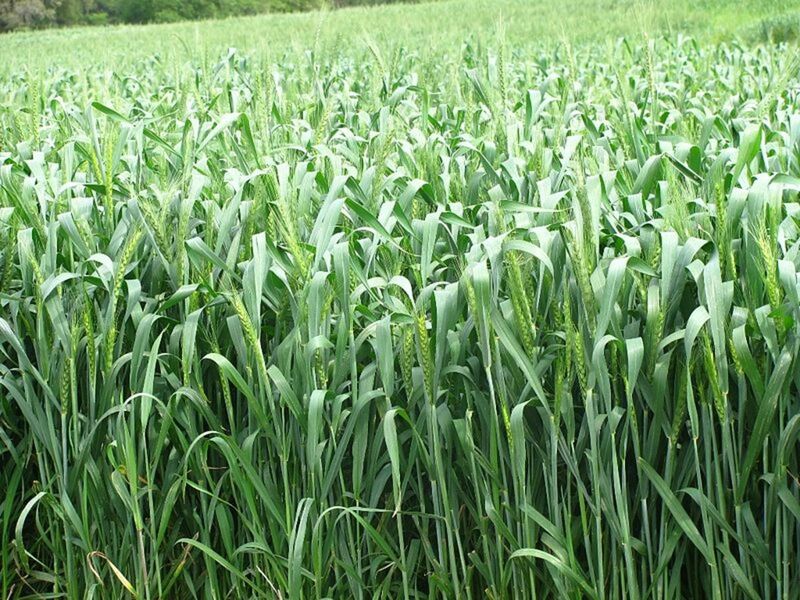 Wheat was listed as one of the seven species which God listed in His definition of a good land (Deuteronomy 8:7-10). In the Genesis passage which records the death of Rachel, Bethlehem is also called Ephrath, which means fruitful. 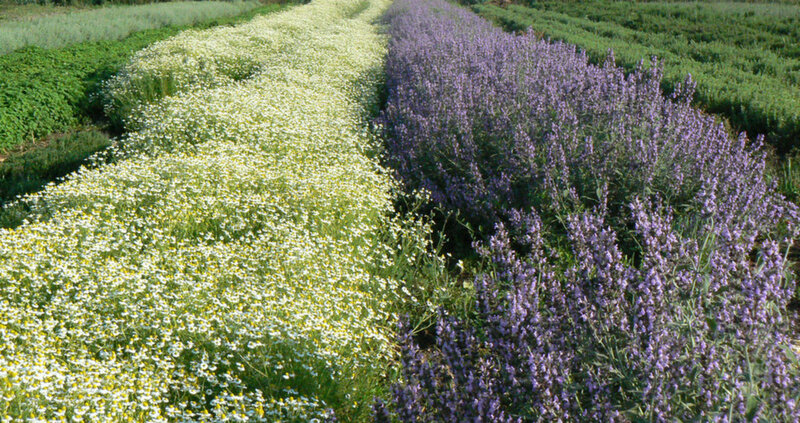 Today, Bethlehem of Galilee (Beit Lehem HaGlilit) is home to lush fields of wheat and spices. Jacob was going to the rich pasture grounds in Bethlehem of Galilee when he left Bethel with his company and his herds. Bethlehem of Galilee is about 75 miles (121 km) north of Bethel and traveling with herds which included sheep is a slow journey. The herds would need time to graze and find water every day. (A non-nursing cow needs to consume 25 pounds of grass per day.) It is doubtful that the caravan would cover more than 10 miles (16 km) per day. "And Jacob set up a pillar on her grave; that is the pillar of Rachel’s grave to this day. "Then Israel journeyed on and spread his tent beyond the Migdal Eder [tower of the flock]." 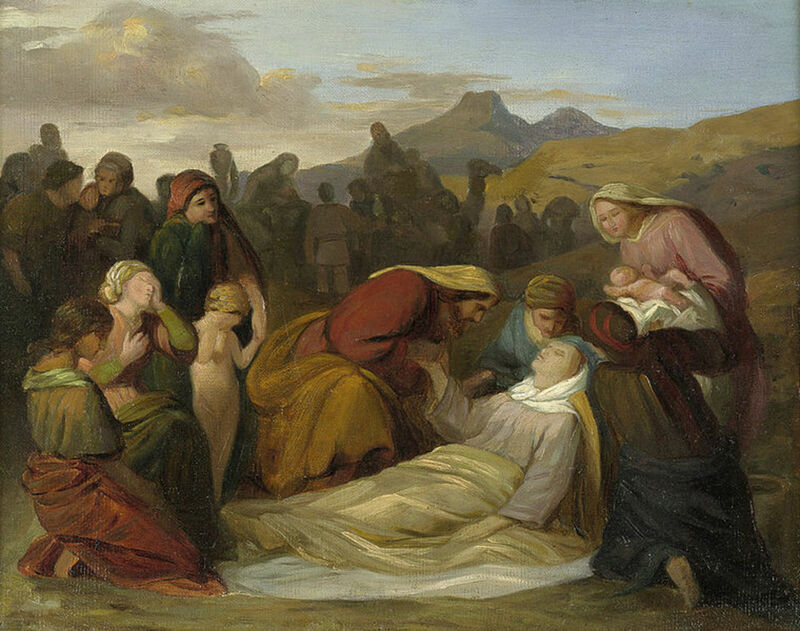 After more than a week of traveling, just short of reaching Bethlehem, Rachel went into labor and the caravan stopped. There is reason to believe that the birth was premature, for the trip would have been planned with her pregnancy in mind. On the way to Bethlehem, Rachel died giving birth to her son, Benjamin, in Migdal Eder. Migdal Eder sits on an overlook of the Jezreel Valley, one of the largest fertile valleys in the world. The western portion of this valley is sometimes called the Valley of Megiddo, a scene of major battles in the history of Israel. The word migdal means tower in Hebrew and the word eder means flock. Combined, Migdal Eder means Tower of the Flock. Towers were used by shepherds to watch over large flocks of animals and were used by farmers to guard their crops in the field. Ancient watch towers are found throughout Israel. 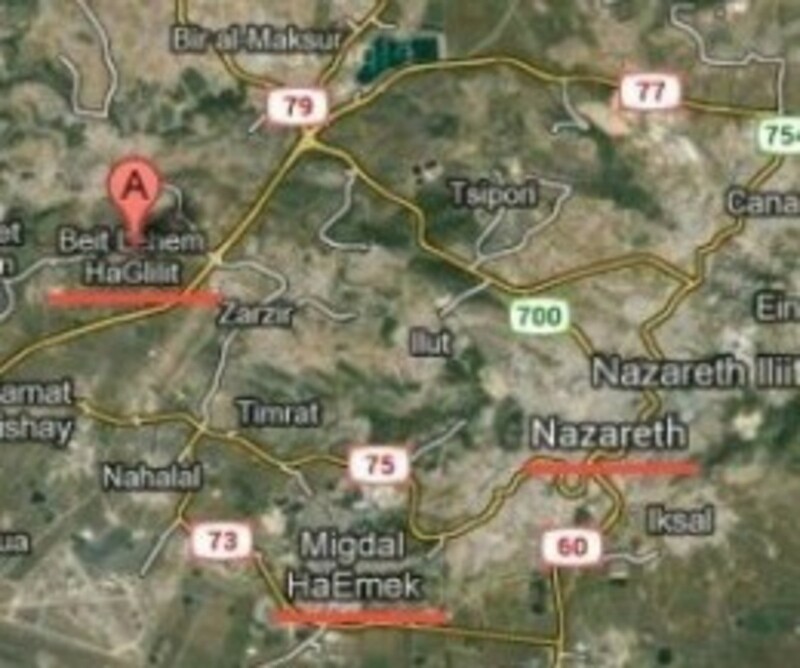 In the map to the right, Bethlehem of Galilee (Beit Lehem HaGlilit) is at the 'A' marker. Migdal Eder is called Migdal HaEmek (Tower of the Valley). 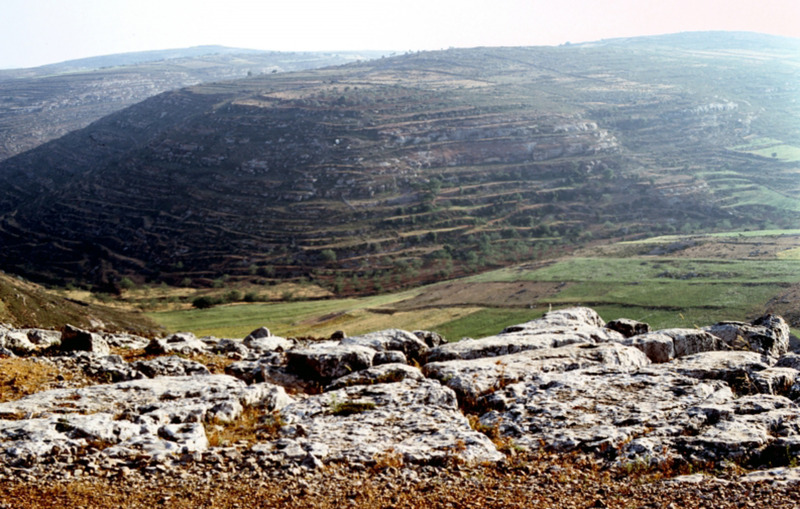 Ruins from the Bronze Age in Migdal HaEmek reveal a settlement with a rock-cutting industry and three quarries. Wine presses, cisterns, rock-cut tombs and burial caves are found there, indicating an established community. When Jacob built the tower for Rachel's tombstone, it was probably done with the assistance of these master stone masons. A wet nurse for the orphaned Benjamin might have been found there, as well. In the account of Rachel, the words Migdal Eder also take on a symbolic meaning because the name Rachel means ewe in Hebrew. When Rachel met Jacob in Harran for the first time, she was shepherding her father's sheep and had brought them to be watered at a well. Jacob removed the rock covering of the well and helped her water the flock. The life of the young shepherdess ended as she gave birth to her second and last child, her flock of children, and from her gravesite beneath the tower Jacob built, she watches over her flock of descendants. Almost 1,000 years after Rachel's death, her descendants were taken out of the land and into captivity by the Assyrian army beginning in 740 BCE. The Tribes of Israel living in the north were replaced by foreigners from several parts of the Assyrian empire. These foreigners came to be called Samaritans, because the northern region of Israel was later called Samaria. The Galilee region in the days of Jacob and Rachel was known as Ramah, which means heights, because the Galilee is the hill country of northern Israel. The word Ramah is incorporated in many geographical locations in Israel where it is used to denote a high place. The Biblical prophets promised the return of the Ten Lost Tribes of Israel. In 1948, some of the dispersed returned to Migdal Emek. The came from Russia, the Caucasus, Morocco, Iraq, Ethiopia, and South America; they built a city which surrounds the protected archaeological garden of the ancient ruins of Migdal Emek. More than 30,000 people live there today. 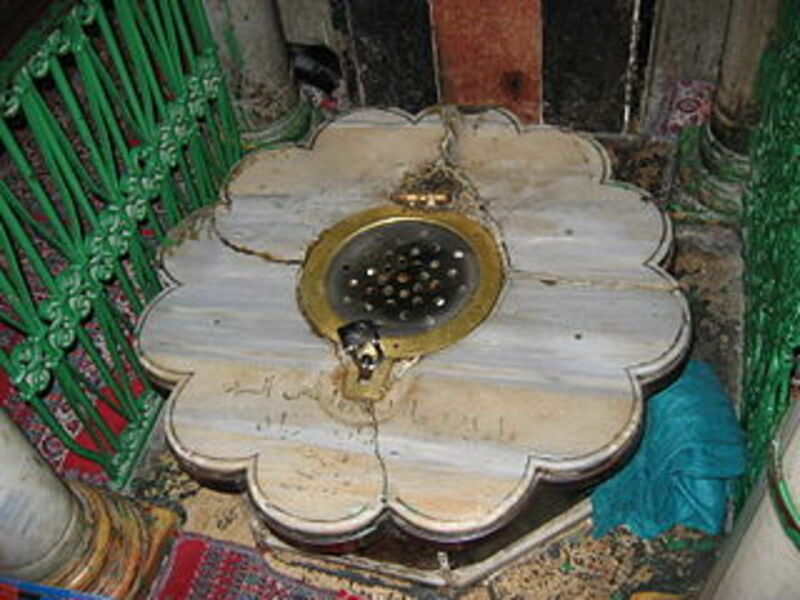 Rachel's Tomb Shrine is located seven miles (11 km) south of Jerusalem at the entrance gate of Bethlehem of Judah. With the advent of Roman Christianity in the 4th century CE and its mandated acceptance during the rule of Constantine the Great, the Holy Land became a new tourist destination for people in the Roman Empire. 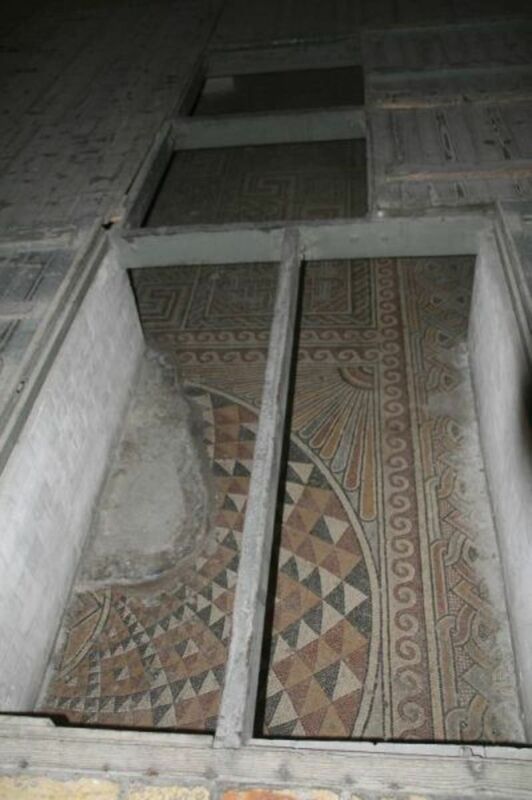 However, because it held little interest for Christianity, the site Helena chose as the location of Rachel's Tomb was not marked by a structure until the 7th century CE. The shrine visitors see today was built during the Ottomon period in the early 1800s. 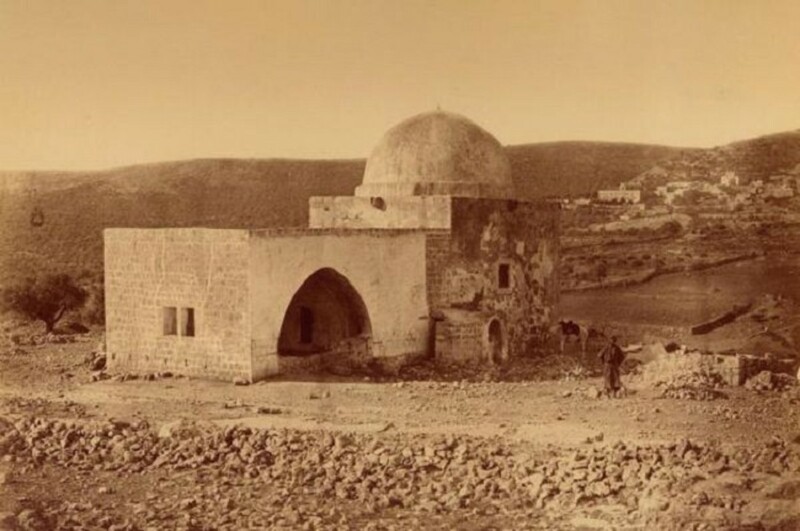 In the photograph below, Bethlehem is the town behind the shrine. The pile of rocks to the right where a man stands is an old Moslem cemetery which dates to the Ottoman rule. There is no supporting evidence for the Judah location of Rachel's grave. To the contrary, all existing evidence confirms the gravesite in Bethlehem of Galilee. 1. Bethlehem of Judah did not exist in the days of Jacob and Rachel; indeed, it was founded almost a thousand years later. 2. 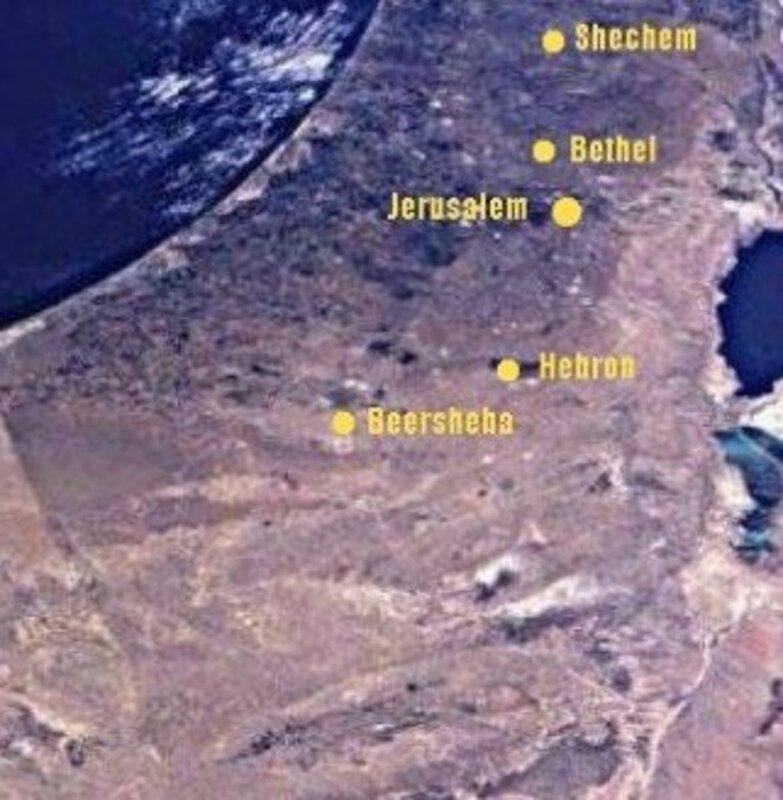 It is not located "some distance" (Genesis 35:16 ) from Bethlehem; indeed, as the photo above clearly shows, the shrine is barely a fifteen-minute walk to the old city of Bethlehem of Judah. 3. It is not on high ground overlooking a grazing field; indeed, it sits right on the main highway of the thoroughfare known as The Way of the Patriarchs in the times of Jacob and Rachel. 4. 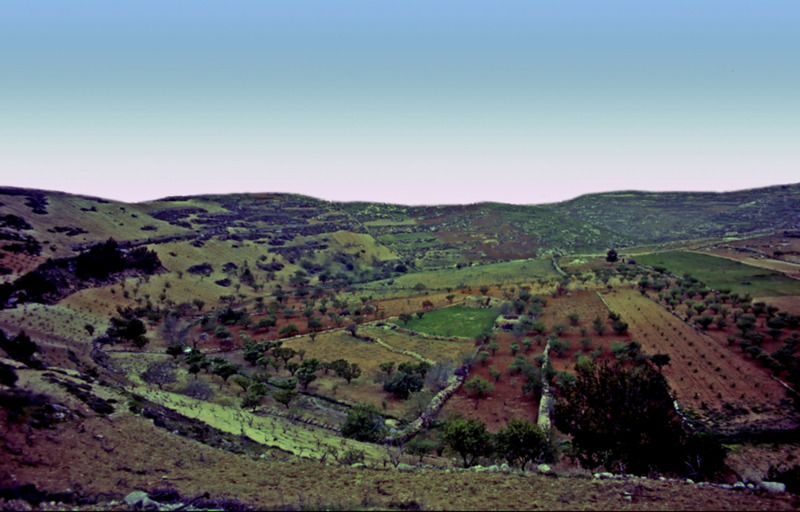 It is not near any known site of a migdal eder (tower of the flock) from the days of Jacob and Rachel; indeed, the area around Bethlehem of Judah has no mention in the family's history as a grazing land for its herds and there is no evidence from the Bronze Age that any land there had been cleared of trees. 5. 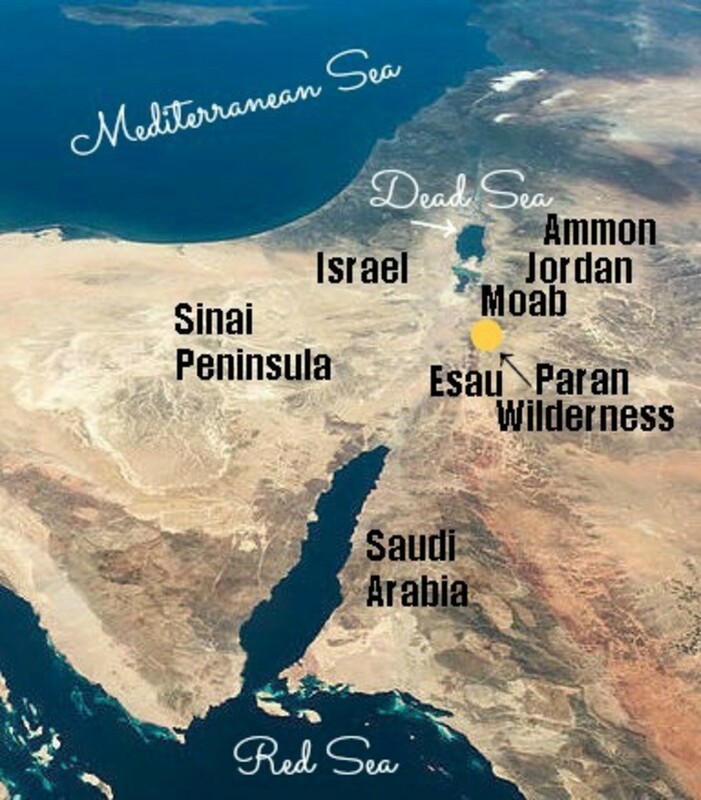 It is not in or near an area called Ramah; indeed, the nearest place to Bethlehem of Judah with Ramah in its name is north of Jerusalem on the road to Bethel. 6. It is far too close to the established, family burial shrine at the Cave of Machpela in Hebron to be considered an alternative burial site for Rachel; indeed, Hebron is just 12 miles (19 km) from Bethlehem of Judah. Isaac buried Jacob's mother, Rebekah, at the Cave of Machpela and Isaac himself was buried there by Jacob and Esau (Genesis 49:29-33). The reason that Jacob could not bury his beloved Rachel at the family's burial cave is that he was too far away – 120 miles (193 km) away – for she died near Bethlehem of Galilee. Bethlehem of Judah began as the homestead of a man named Bethlehem. Bethlehem lived in the seventh generation of the descendants of Jacob and was from the Tribe of Judah. After the Exodus from Egypt, the Tribes of Israel were allotted portions of land and families received an allotment within their tribe's land. 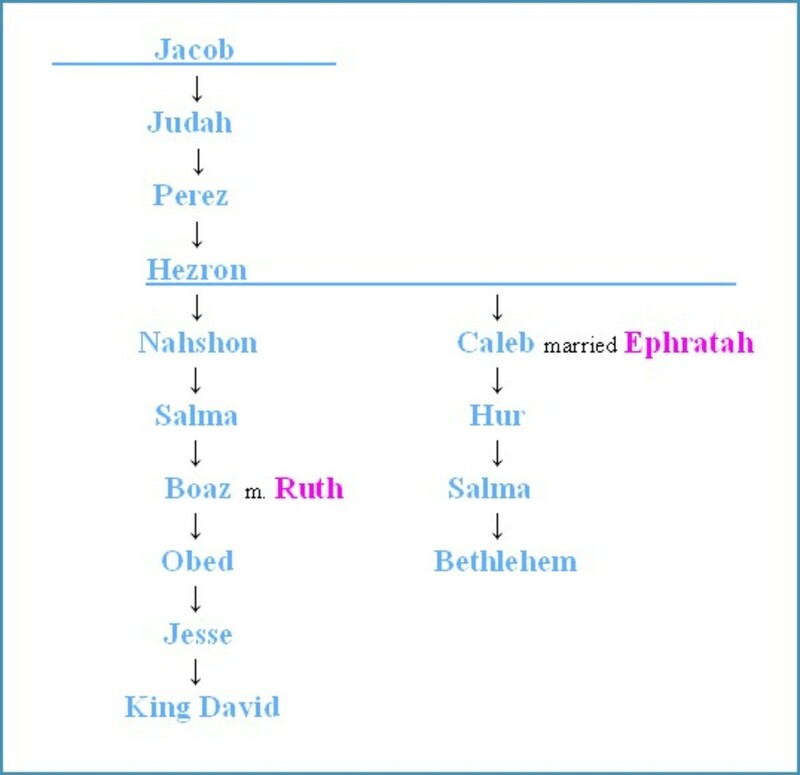 Bethlehem was the descendant of Caleb and Caleb's second wife, Ephratah. Ephratah (which means fruitful) is a popular name for girls today in modern Israel. After the Exodus, places were sometimes identified by the original man and wife who were the founders; this is especially true when a man had more than one wife and the wives lived in different settlements. Caleb's first wife was named Azubah and she bore him three sons. When she died, he married Ephratah. When Caleb's father Hezron died, it is recorded that he was buried in Caleb-Ephratah (I Chronicles 2:24), which distinguished his burial place from the land settled by Azubah's sons. Bethlehem was a distant cousin of King David and both were descendants of Jacob's great-grandson, Hezron. The town which bears his name was a center of activity for the descendants of Hezron. It is mentioned ten times in the Hebrew Bible as Bethlehem Judah, to distinguish it from the older Bethlehem of Galilee which was now in the lands of the Tribe of Zebulun. Boaz, in his older years, married Ruth in Bethlehem of Judah (Ruth 4). 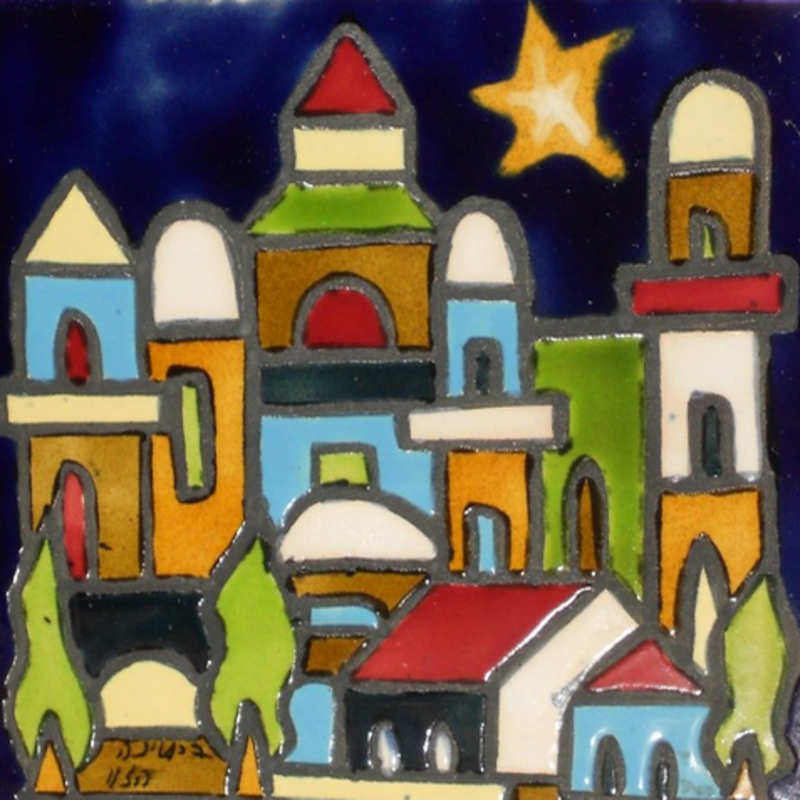 Bethlehem became famous throughout all of Israel as the home of the family of King David (1000 BCE). The city caught the attention of the Roman empire when Helena, the elderly mother of Constantine the Great, claimed that she located the birthplace of Jesus of Nazareth in Bethlehem of Judah. The only records of the birth of Jesus of Nazareth are within the Christian Testament and were written many decades after the presumed date of his death. Some books of the New Testament are dated to the 2nd and 3rd centuries CE. In the 4th century CE, Helena built the Church of the Nativity over the spot where she said the birth of Jesus occurred. She also constructed two monasteries in Bethlehem of Judah, both of which became successful fund raisers for the Roman Catholic Church. The Church of the Nativity was completely destroyed in a fire and rebuilt again in 565 CE. "And thou Bethlehem, in the land of Judah, art not the least among the princes of Judah: for out of thee shall come a Governor, that shall rule my people Israel." That quote appears nowhere in the prophets in the Hebrew Bible. According to the prophecies in the Hebrew Bible, the king promised to rule on the Throne of David at the time the Ten Lost Tribes reunite with the Tribe of Judah in the land of Israel will come from the genetic lineage of King David. The actual birthplace is insignificant; he could be born in Kansas. What is crucial is that he carry the Y chromosome of King David, which can only be transmitted by a human male father. 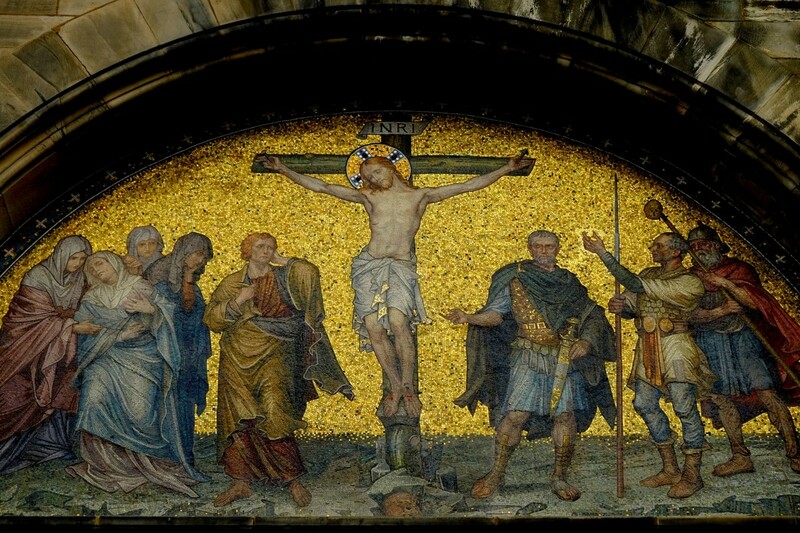 When the First Council of Nicaea was convened by Constantine I in 325 CE, it was decided by majority vote that Jesus had no human father, which would, of course, exclude his candidacy if it were true. International archaeology journal from Archaeological Institute of America, published continuously since 1948. Did the birth of Jesus occur in Bethlehem of Judah? One prominent Israeli archaeologist doesn't think so. Aviram Oshri, Sr. Archaeologist with the governmental Israel Antiquity Authority, wrote an article for Archaeology, the peer-reviewed journal of the Archaeological Institute of America, in 2005. He notes a complete absence of archaeological finds in Bethlehem of Judah during the lifetime of Jesus, some 1,000 years after the reign of King David. On the contrary, he noted, Bethlehem of Galilee was a thriving city and a regional center during the first century CE. 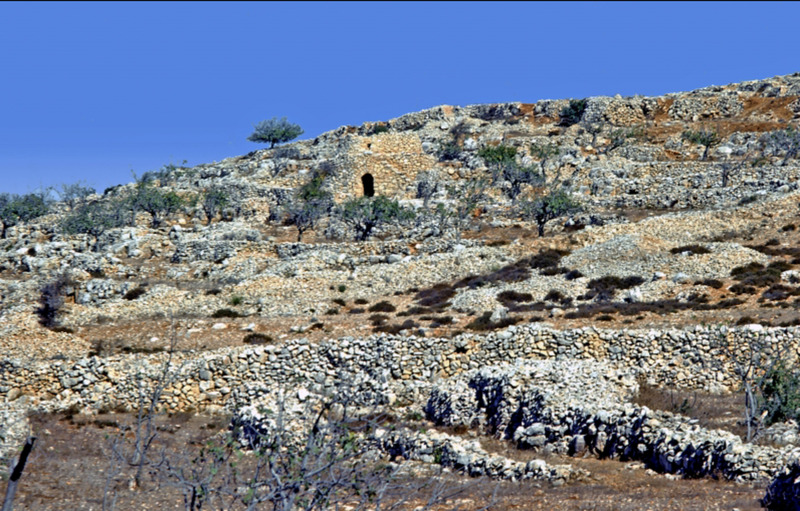 In an article published by U.S. National Public Radio (NPR) in 2012, Oshri presents new archaeological findings which support the theory that Jesus was born in Bethlehem of Galilee. The only periodical devoted to archaeological finds in the lands mentioned in the Bible - for amateurs and professionals - published by the Biblical Archaeology Society since 1975. Fabulous gift for the holidays! 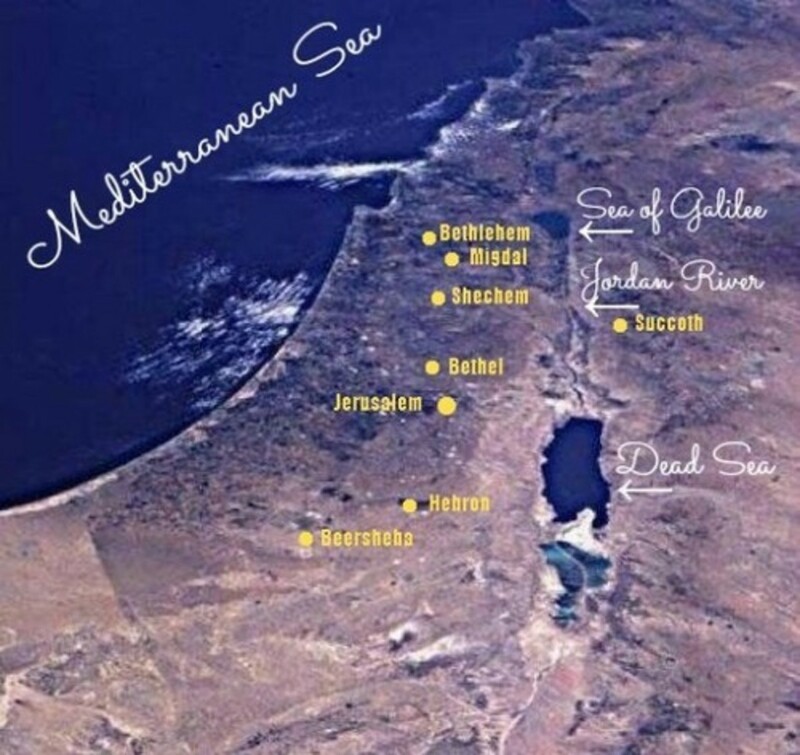 Oshri also points out that Bethlehem of Galilee is only four miles (7 km) from Nazareth. Walking or riding a donkey from Nazareth to Bethlehem of the Galilee takes less than one hour. The journey from Nazareth to Bethlehem of Judah is more than 93 miles (150 km), hardly an appropriate journey for a woman in the final stage of pregnancy riding a donkey. That trip would take more than three weeks and would require taking tents for lodging along the way and food provisions. A three-week journey in the first century CE would require taking pack animals, and camels rather than donkeys were more appropriate for traveling long distances. Paula Fredriksen, an American scholar also interviewed in the NPR article, collaborates the opinion that Christianity never considered Bethlehem of Judah to be the birthplace of Jesus until the 4th century CE at the insistence of Helena. The Christian Testament account of the journey of Mary and Joseph to Bethlehem of Judah for the purposes of taxation has never been substantiated by sources. There is no Roman record of the event and throughout its empire the Romans never required registration in one's birthplace, but only in one's place of residence. If Mary and Joseph were not legally married at the time of the birth of Jesus – and the Christian Testament claims they were not –she would not have registered for taxation in the household of Joseph at any place of registration. Also worthy of mention is that there are Christian finds in Bethlehem of Galilee that predate the Church of the Nativity; but there have always been Christians interested in the northern town. In 1909, German Templars founded a colony in Bethlehem of Galilee and built their only church in the Holy Land in that community. The Templars were blatant Nazi supporters, and were exiled by the British to Australia (home to many British convict-exiles) in 1939 during World War II. But the homes they built there continue to attract and fascinate tourists. They were the first Christian group in modern times to support Bethlehem of Galilee as the true place of the birth of Jesus. 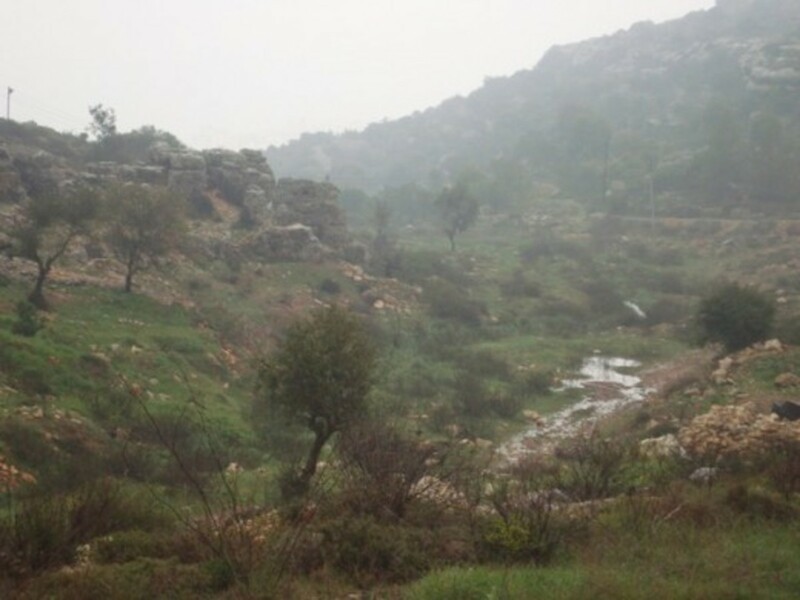 Aviram Oshri has identified dozens of locations in Bethlehem of Galilee and Bethlehem of Judah that are worthy of archaeological digs; sadly, funding is lacking for these projects. 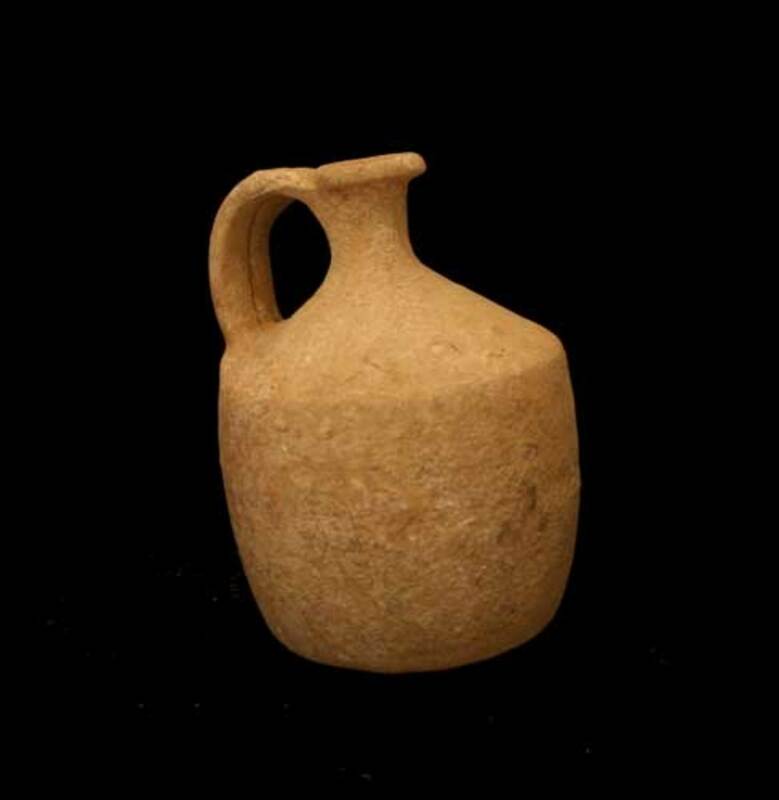 To help with funding further discoveries in the two Bethlehems or to learn more about finds in Israel, contact The Israel Antiquities Authority. Read more about the history of Israel in this article about the largest religious war in history, which was fought exactly 40 years ago and involved an attack on the Galilee. What Is an Appropriate Gift for a Bris? 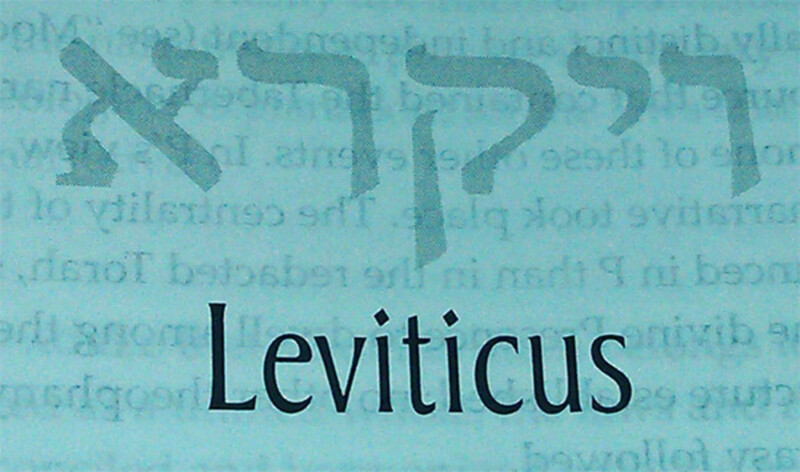 What does Leviticus REALLY say about homosexuality? 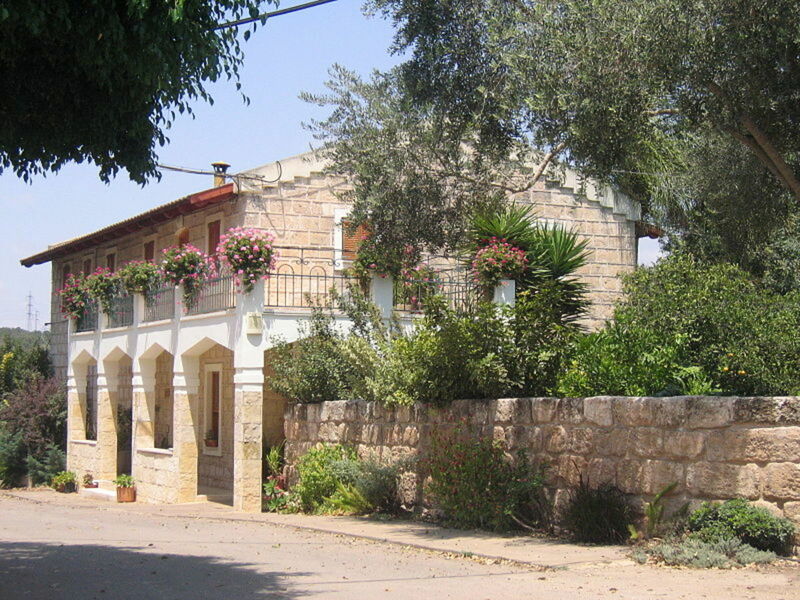 Hi Aesta1: I hope you can visit Israel again and go to Beit Lehem HaGlilit. It is in a beautiful part of the country: lush, green and fruitful. Within the village itself are many ancient olive trees. If you hire a local guide, he will take you to explore the archaeological sites in the region. 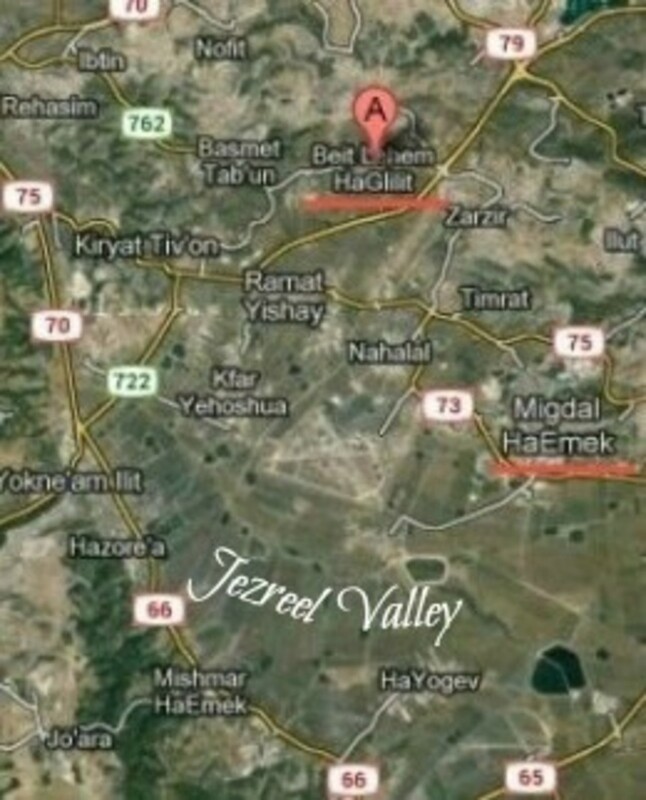 It is so close to Nazareth that you might consider traveling by horseback from there to Beit Lehem HaGlilit. It is a short, scenic trip. Shalom! Although I have a master's Degree in Theology, I am learning a lot more from your hubs. This hub clarified some of my doubts. i had been to Bethlehem a few times and wish now that I have read this so I could have gone to the one in Galilee. Time to go back and see the real Bethlehem. Thank you, Barbara. Your comment is accolade enough for me. I'm glad you found this. Most people don't know the truth about Bethlehem! This was an interesting hub and I enjoyed the photos. Wow! You deserve an accolade for this one. I'm glad you found this article, Alicia. I appreciate your comment. This is a very interesting hub, Writer Fox! Thank you for sharing all the information and details. The IAA Menorah system is used for Hadashot Arkheologiyot, a publication of the Israel Antiquities Authority (IAA), and you can read more about it under the section 'Photographs' at hadashot-esi.org.il/Guidelines_eng.aspx. If you have photographs of any archaeological finds from the 1st century CE from Bethlehem, you may submit them there. The IAA excavations have no findings of a city in Bethlehem in that century and Oshri is not the only archaeologist who recognizes this. Anyone who has looked at the reports can see that this is true. You are welcomed to visit Israel and review the reports in person and to visit the many museums and collections and see the lack of evidence yourself. Please contact the IAA like I did, to inquire about the "Menorah" Database that Oshri claims he checked and found no artifacts for Herodian artifacts. In reality there is no such database. The IAA databases do contain excavation reports from Bethlehem of Judea and you can see these yourself. Oshri is the only IAA member claiming Bethlehem was unoccupied. You can continue siding with him and continue posting mistruths on your website. I'm sorry that your comment was too long to post here. In answer to your questions, the IAA is the Israel Antiquities Authority. 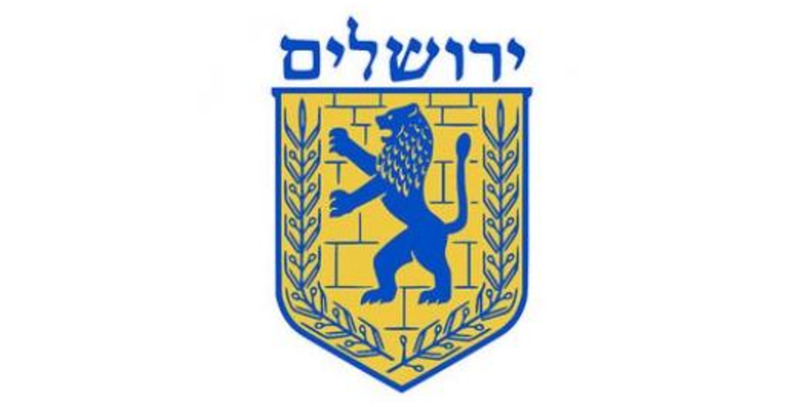 This is the government agency which supervises all archaeological digs and findings in Israel and it holds the national database (www.antiquities.org.il). Aviram Oshri, a senior archaeologist with the IAA, has personally studied the findings at both Bethlehem locations since 1990 and leads the excavations in Bethlehem of Galilee. Again, there is no archaeological evidence of settlement in Bethlehem of Judea in the first century CE. Since 1,000 BCE, the City of David (עיר דוד) was located just south of the Temple Mount (2 Samuel 5:9). This was the city where King David and his descendants lived, and was the seat of the dynasty known as the 'House of David.' (See cityofdavid.org.il/en) The City of David predates the building of the First Temple. The City of David was the burial place for King David, his son King Solomon, Solomon's son King Rehoboam, Rehoboam's son King Abijam, Abijam's son King Asa, Asa's son King Jehoshaphat, etc. However, Christianity's theological problems concern the paternity of Jesus since its doctrine states that his paternal genealogy does not descend from King David. And, again, it wouldn't matter where he was born. Descendancy from David depends upon the bloodline and the transmission of the Y chromosome from father to son, not upon birthplace. I appreciate your input and your reference to the excavations. However, none of them discovered any evidence of a city or town of Bethlehem during the Roman period. 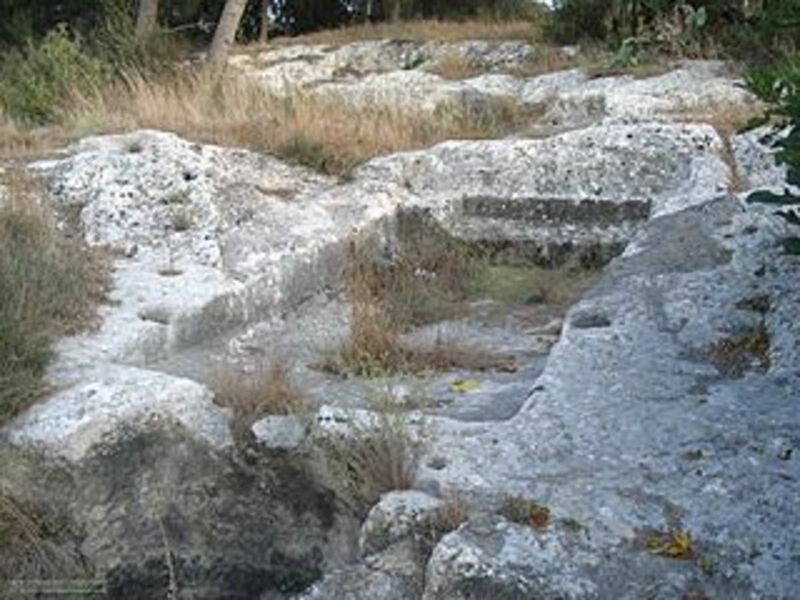 What each of these studies explored were the agricultural terraces, cisterns and caves which were used since the days of the original founding family of the patriarch Hezron. Also noted is the aqueduct built during Solomon's reign as king and which is located three miles from modern Bethlehem. Specifically absent from all of the excavations cited were: pottery, coins, textiles, writing, buildings. In short, nothing was found from all of these efforts to indicate even a small community settlement during the Roman period. 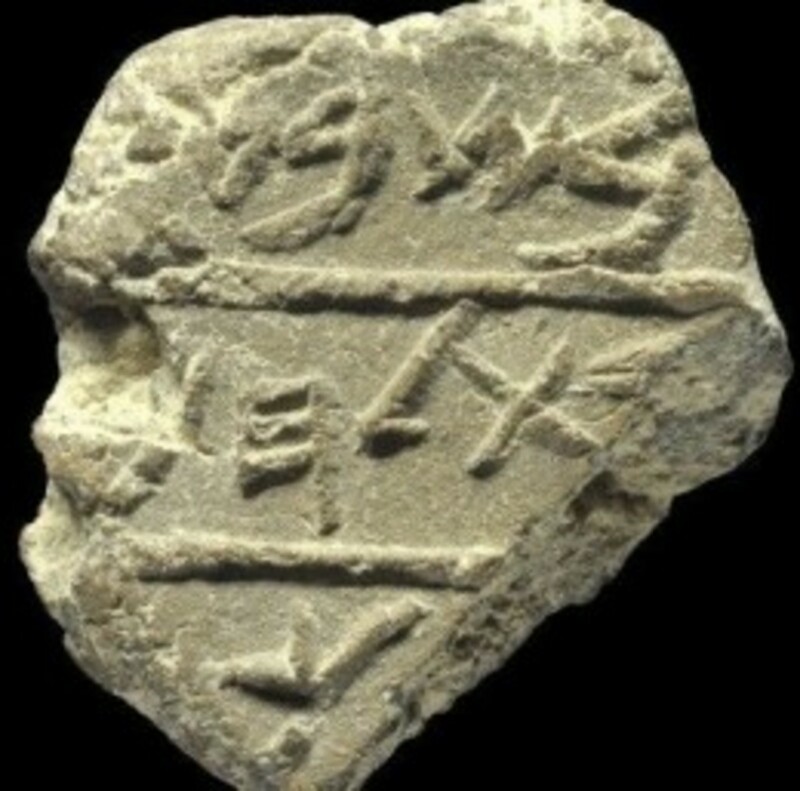 In modern times, during construction to house the over 30,000 people who now live in Bethlehem, nothing from the Roman period was discovered and, indeed, there were and are archeological artifact dealers crawling all over new construction sites looking for anything of value to their trade. (I live 15 minutes from Bethlehem of Judea and am well-acquainted with some of these people.) There is a local family who supports itself entirely from discovering and selling their finds. Again, they find nothing from the Roman period. There are standing, lucrative offers awaiting such finds! The archeological history of Bethlehem of Judea stops at about 550 BCE and begins again in the 4th century CE. It's interesting that you note Justin Martyr. There is no evidence that he ever visited the area in and around Bethlehem and whatever he wrote was written in Rome and not based on eye-witness testimony. There are many burial caves in the vicinity of Bethlehem, but not until Helena was one ever given an association with the birth of Jesus. The 'Protoevanelium of James' has been discounted even by Christians because most of it is pure fantasy, i.e., that Mary was a consecrated vestal virgin in the Jerusalem Jewish Temple (That is a Roman practice and it has never existed in Judaism. ), that Joseph was already a married man with children at the time of Jesus' birth, and etc. Again, that text is not based on an eye-witness account and is dated to the 2nd or 3rd centuries. Also, no text exists which states that the hometown of Joseph (father of Jesus) was in Bethlehem. All Christian sources state that Joseph lived and had a carpentry business in Nazareth, which is just four miles from Bethlehem of Galilee, the regional capital city during the Second Temple Period under Roman occupation. The association of Jesus with Bethlehem of Galilee is from the family home in Nazareth and this is where he lived all of his life. Bethlehem of Galilee was the place of Roman tax collection for residents of Nazareth. It takes only an hour to walk there from Nazareth and less than 30 minutes on a slow donkey. (Note: There is no reference in the New Testament to Mary riding on a donkey to Bethlehem. That is a presumption. It could more easily be presumed that she walked.) According to the Christian Testament (John 7: 41-53), Jesus was said to be from (which means birthplace) Galilee, not Judea. If you would like to leave another comment, please do not include a live link. It is very rare that I will allow a comment to be published if it includes a live link. But you may certainly reference another webpage as I just did above. Secondly, Helena is not responsible at all for the current veneration of the Judean Bethlehem: Justin Martyr and Protoevanelium of James attest to the Nativity cave and predate Helena by over a century. But maybe Helena picked the wrong location for Rachel's tomb. Finally, the notion of a "heavily pregnant" Mary travelling 90 miles on a donkey is popular Christian tradition, but not textually supported. Luke gives no detail to the extent of her pregnancy, so using that to support a Galilean hypothesis reads too much into the text. Logically, Joseph would have taken Mary to his hometown (where they intended on living) while she was still able to travel. Finally, there is no extant evidence of Jesus being associated with the other Bethlehem. Not archaelogical and not literary. It's a mere councidence, nothing more. Thank you for your comment, Linda. There are many things in this article that most people don't know. I hope you share the link! Very interesting hub, you have a lot of fascinating facts and pictures in this article. Thank you Au Fait. So many people don't know the history of Bethlehem which is why I wanted to post this. I'm glad you chose a graphic to pin and thanks. A lot of history! Some I didn't know and some I had forgotten because it's been so long since I read about it. Very thorough. And great reading for this time of year. Voted up and pinned! Thank you CrisSp for commenting and I'm really glad that you appreciate the graphics about Bethlehem Israel. Wow! This is so thorough! I never learned this in school. I appreciate your effort in researching and the way you've presented it. Way to go! Thank you for the most enjoyable read. Your visuals made me travel back in time. Thanks EGamboa. 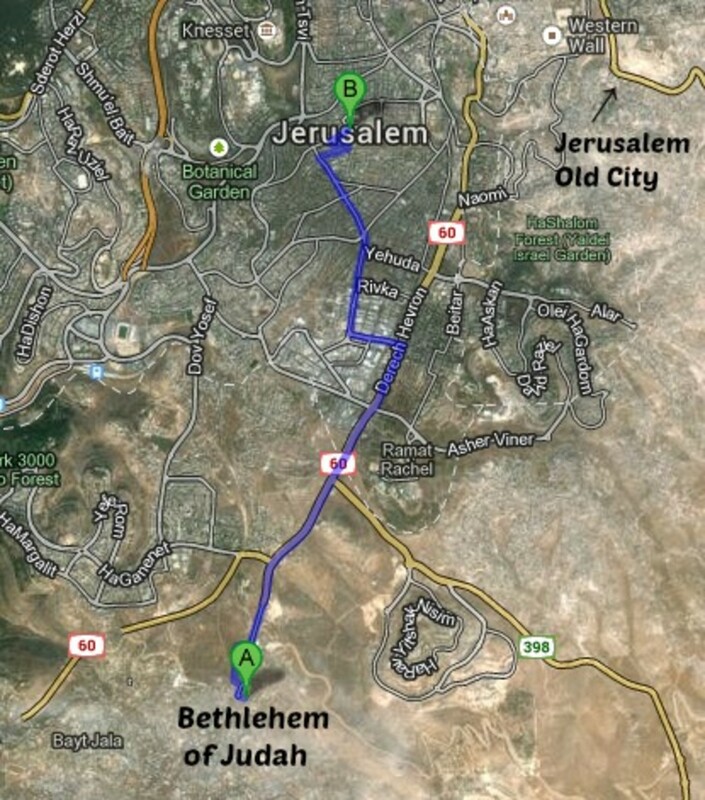 Most people don't know that there are two places in Israel called Bethlehem. I hope this article will help to educate. Kudos! I just love treatments showing mutually supportive history between the Bible/Torah and secular writing. Didn't know about the dual Bethlehems. Good stuff, Writer Fox! Thank you very much, Faith and Marie, for your comments on this article about Bethlehem. I appreciate your feedback very much. I found this very educational and informative. Voted Up and Interesting. --Blessings! My goodness dear Writer Fox, what a comprehensive hub here you have written! It is obvious that you have taken a great deal of time to put this hub together and it is very well-written, researched and useful. I love all of the imagery too. Thank you. The images for Bethlehem did take a great deal of time! Beautiful job on a most informative hub. You managed to integrate religious history and gorgeous imagery superbly.